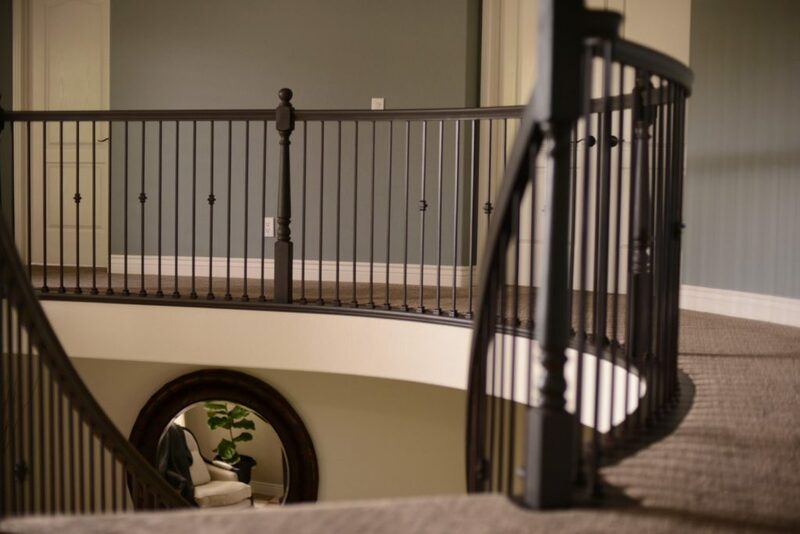 This home features railing that gently curves around the landing and down the stairs. 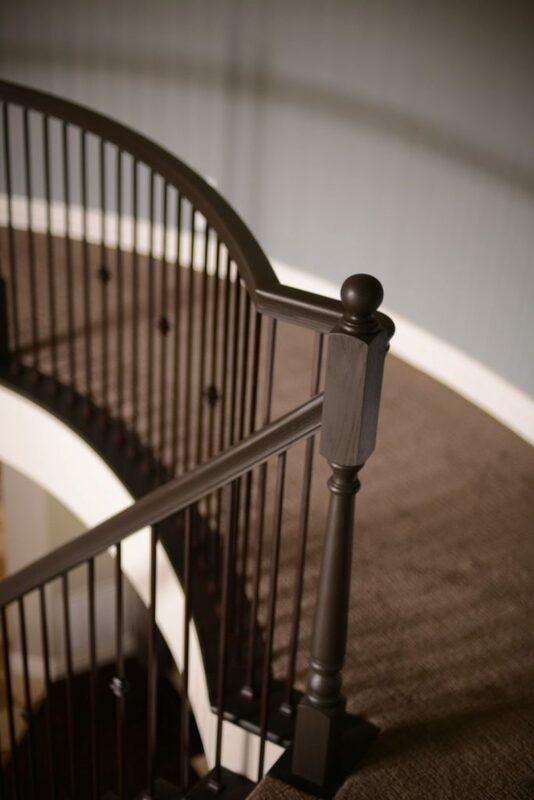 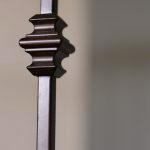 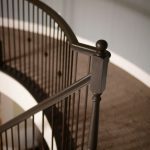 For stairways that have such graceful features, elegant wrought iron balusters are an excellent choice. 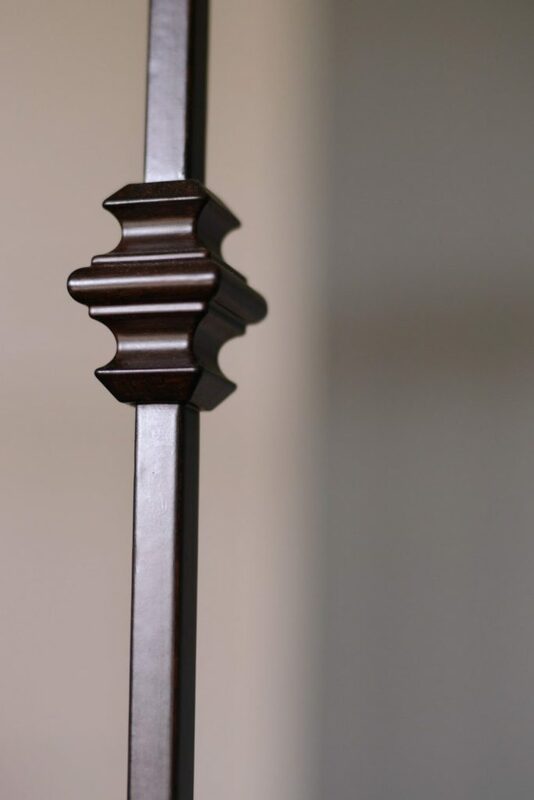 This customer selected a subtle blend of single knuckle and plain straight iron balusters. 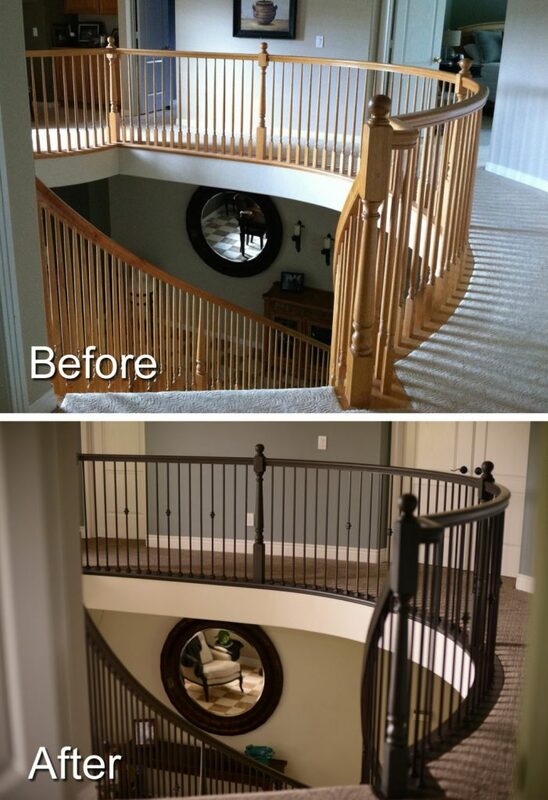 This gives the entire stairway a polished appearance. 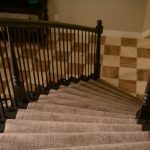 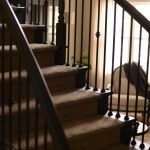 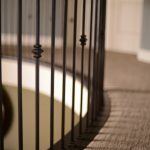 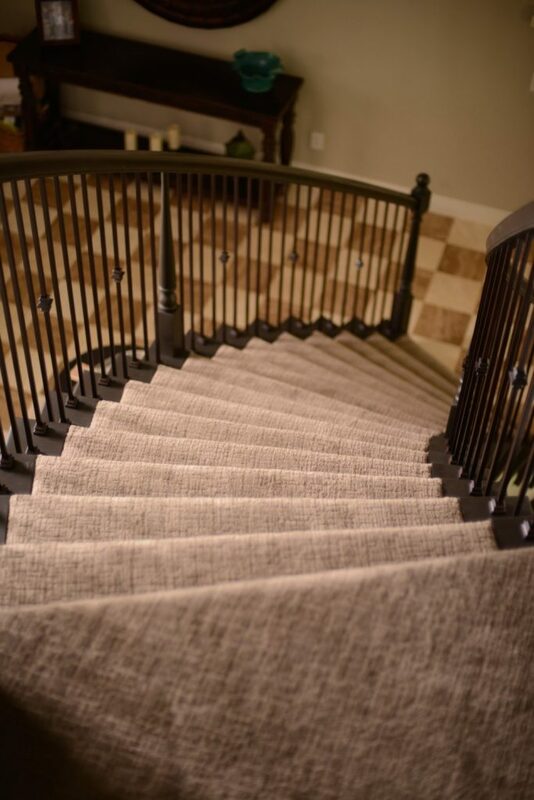 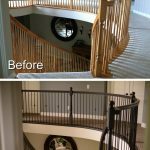 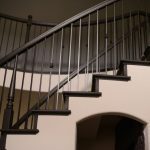 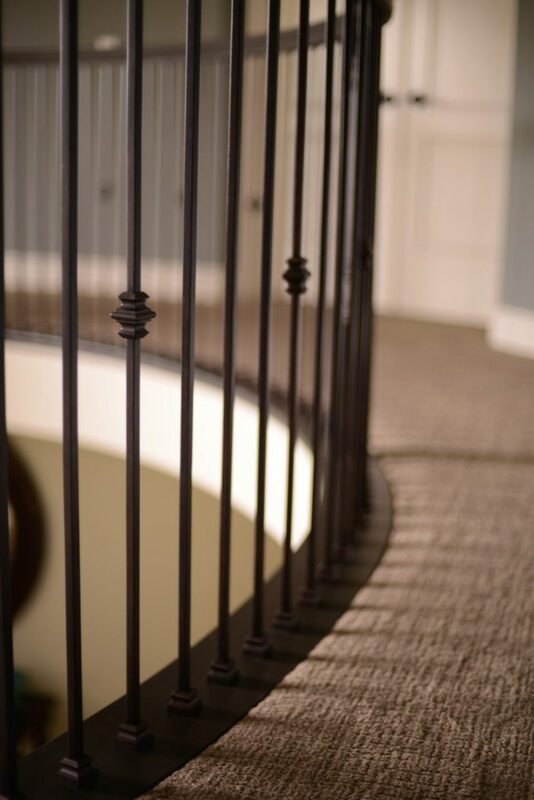 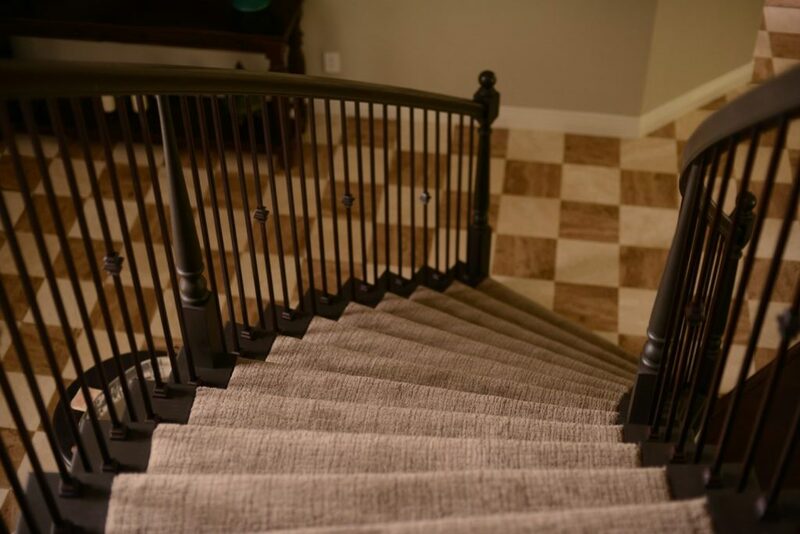 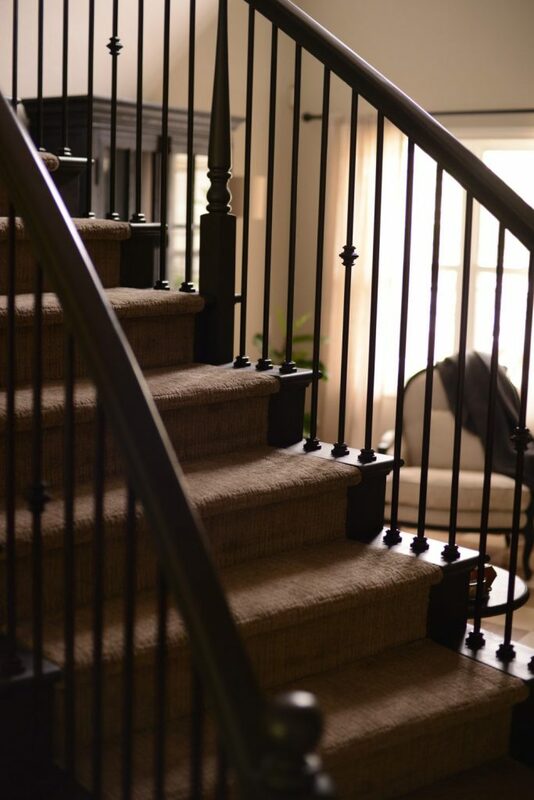 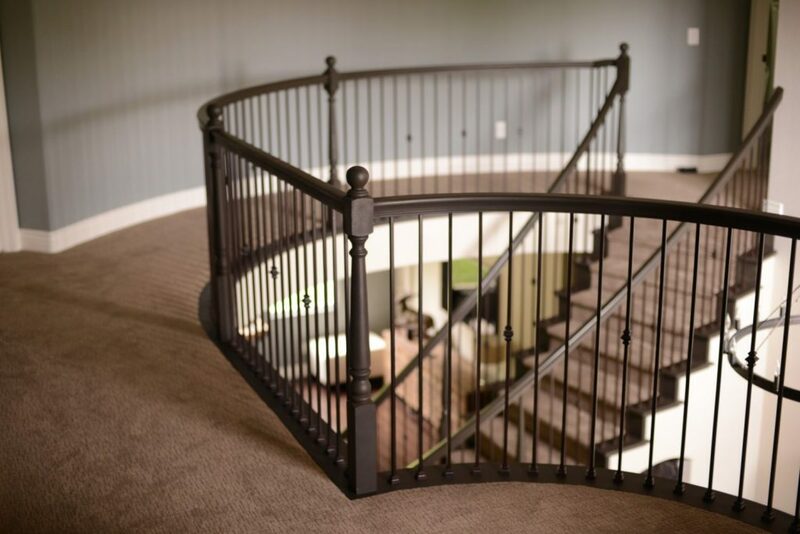 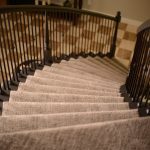 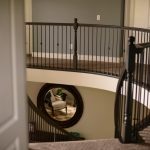 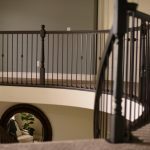 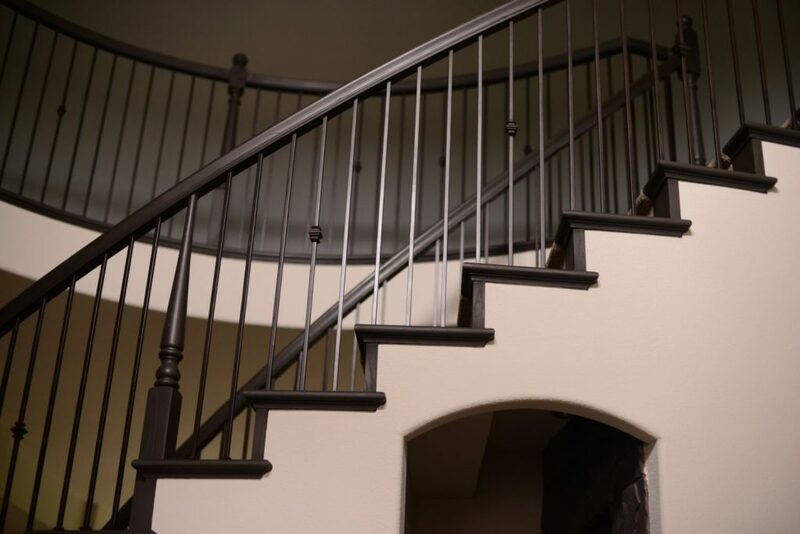 You can take a look at our vast array of wrought iron balusters that can transform your stairway into an elegant railing system. 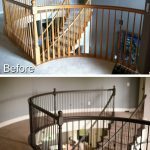 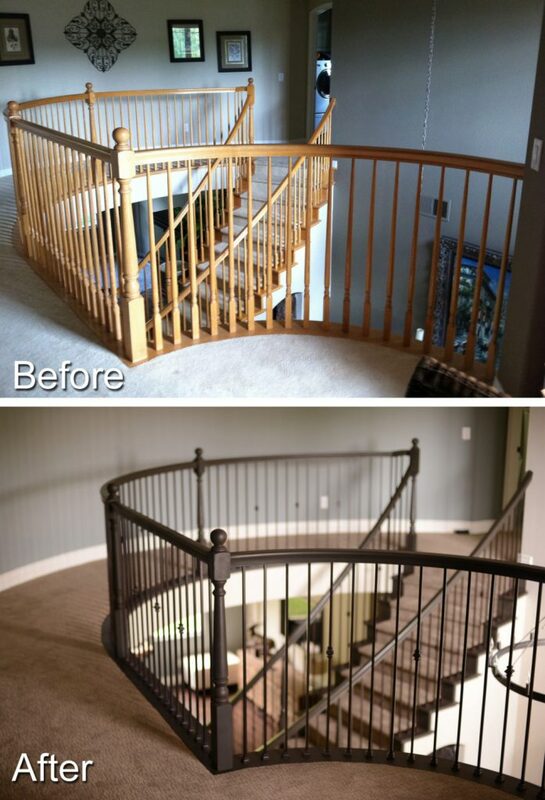 In addition, you can send us photos of your completed staircase transformation. 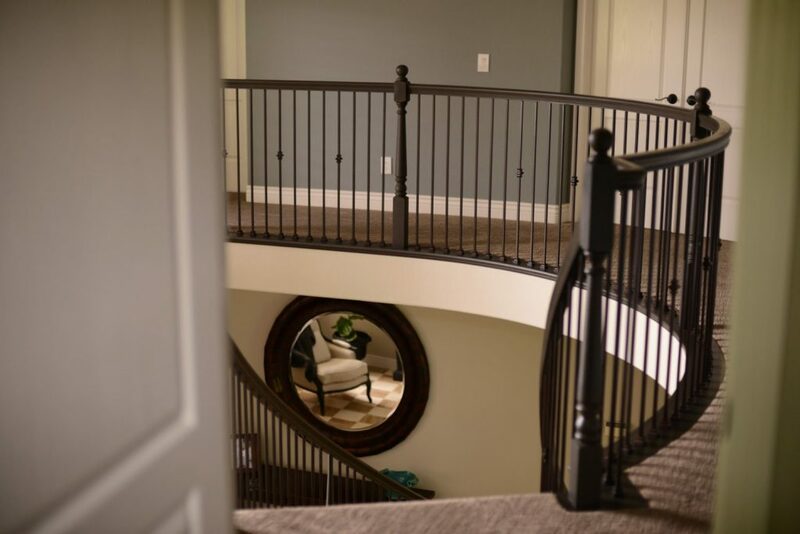 We can’t wait to see the finished project.